Cashies – is it worth it as a customer or a supplier? 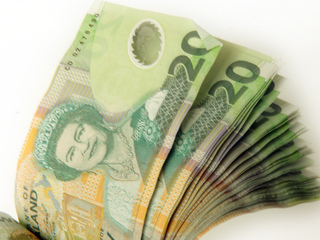 Cash jobs have been a part of New Zealand life since God knows when, but these days things have changed – there are more sharks out there doing business & the IRD is cracking down hard. So is the “cashie” still worth the risk? If you need a tradie then it’s usually the sharks who’re out there looking for cash jobs, generally they are not members of a trade association and therefore the standard of work may not be up to the standard that you would wish. If they haven’t issued you with an invoice then you have nothing documenting what work has been done, by whom and for what price. If you have an issue with the quality of work, even a year down the track, how can you prove who did the job, for how much and what job did they do. They can deny all knowledge of the work and that they even did it. If the jobs not done well and you can’t prove who did it or what they did then you may need to pay somebody else to come and repair the job – you’ve now paid twice – how did those few pennies saved add up now? People who do “cashies” aren’t worried about building consents, they just want the cash. Now you try to sell the house or make an insurance claim and are told you have unconsented work so need that consented prior to selling or claim declined due to unconsented work causing the damage or loss. Health & Safety. Under the new health & safety rules sometimes the home owner is responsible to make sure certain guidelines are met. Does the “cashie” contractor want to spend out on all the required safety equipment (e.g. scaffolding) when they can’t claim it back as a business expense as it’s a cash job & not going through the books? Are they opening you up to prosecution? Yes you may begrudge paying the levies but if you have an accident you’ll need their support. Now (unless you are on an amended ACC package) they will pay you 80% of your pre-incapacity taxable income, suddenly all those cashie jobs don’t look so clever. If you’ve earnt $80,000 but only declared $50,000 then your ACC is only calculated on your declared earnings – ouch. Business Loan. You want to expand your business or need an overdraft to cover you over a short period – they are going to want a copy of your books and some cash-flow projections. Now these can only be done on your declared earnings, do they show enough income to support the loan application? Business Sale. You now want to sell your business for any number of reasons, you know what they are going to want to see and what the business value is going to be based upon – yes your books, all those “cashies’ don’t show so the valuation is going to be low. Hire Purchase. You need a new truck, piece of capital equipment or new company car? It’s not rocket science on how they’re going to access your ability to pay. What do your books show as your income? Looking at buying a house or wanting to upsize? The mortgage broker or bank will ask for a set of your last year’s books and what amount will they use to calculate your ability to repay and therefore the size of the mortgage they will offer? Yes, the IRD does and do audit and they’ve seen it all before, believe me you’re not the first person to come up with that “clever & cunning plan”. Did you know they can serve a notice to your bank and without you knowing get copies of years of bank statement & credit card statements? They add up what you’ve spent in any 12 months and compare that to what your declared income is and ask you to explain the difference. Using “cashies” to pay for groceries is easily spotted, or that boat in the drive how was that funded – IRD have seen them all before. So from a customer perspective do you trust the contractor enough not to want paperwork and from a contractor point of view the few dollars saved on tax can end up costing you lots more in the long run. Why take the risk? Why get somebody to do my Bookkeeping? ACC, do you love it or hate it? Fuel tax increase, can a business claim it back?? Are you going on maternity leave but intend on buying a first home soon? Geoffrey Hughes on IRD, get to them before they get to you! Alana on IRD, get to them before they get to you!